The rupee moved in a range of 69.10-68.53 against the greenback during Friday's session, before settling at 68.95 for the day. The rupee closed 12 paise lower against the dollar (INR Vs USD) on Friday, but managed to finish the week on a higher note. The rupee moved in a range of 69.10-68.53 against the greenback during Friday's session, before settling at 68.95 for the day. That marked a total gain of 15 paise against the American currency for the holiday-shortened week, during which the rupee hit a seven-month high of 68.45 - breaching the 69 mark for the first time since August last year. The financial markets remained shut on Thursday for the Holi festival. Indication of an end to the tightening rate cycle in the US supported the currency, say analysts. "An unchanged stance as of now with possibility of a rate cut means that the dollar would no longer be strengthening against the other currencies... This is positive news for the rupee which will appreciate on this score. However a lot depends on how the other factors turn out such as current account deficit and capital flows," said CARE Ratings in a note. The Federal Reserve on Wednesday brought its three-year drive to tighten monetary policy to an abrupt end, abandoning projections for any interest rate hikes this year amid signs of an economic slowdown. A decline in crude oil prices, which retreated further from 2019 highs, provided some support to the rupee however demand for the dollar pulled the rupee from its intraday peak, according to analysts. Brent futures - the global benchmark for crude oil prices - were last seen trading 75 cents lower at $67.11 per barrel. They had hit a four-month high of $68.69 per barrel in the previous session. 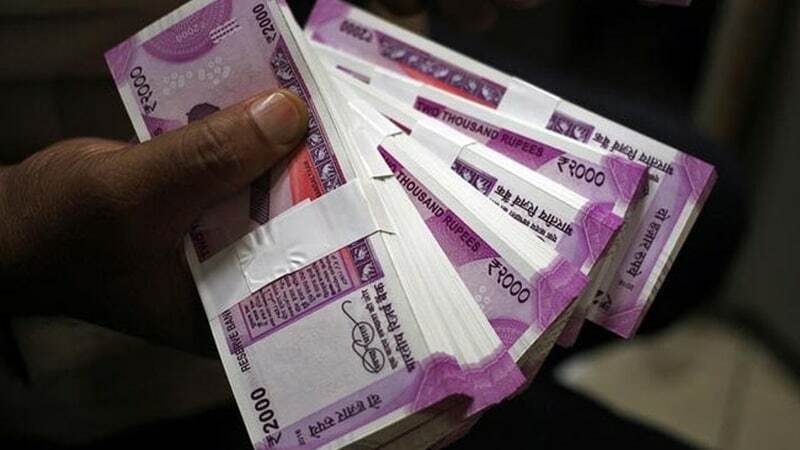 "The Indian rupee depreciated nearly 50 paise from the morning high, after state-run banks purchased dollars on behalf of Importers ahead of RBI's Forex swap, scheduled on Monday," said VK Sharma, head PCG and capital markets strategy at HDFC Securities. Foreign institutional investors (FIIs) remained net buyers in the capital markets, putting in Rs. 1,771.61 crore on a net basis on Wednesday, provisional data from the National Stock Exchange showed. So far this month, foreign portfolio investors have pumped in Rs. 26,073.23 crore into the equity segment, according to data from the NSDL. Credit ratings agency Fitch said on Friday that it expects the rupee to weaken to 72 against the dollar by the end of December 2019, and further to 73 by December 2020. Meanwhile, Fitch also lowered India's GDP growth forecast for the next fiscal year to 6.8 per cent from 7 per cent, on weaker than expected economic momentum. In the equity markets, the Sensex snapped its eight-day winning streak whereas the Nifty gave up the 11,500 mark, dragged by weakness in heavyweights Reliance Industries, HDFC Bank, SBI and Kotak Mahindra Bank.